The advanced heat pump system helps reduce loss of electric driving range in cold winter weather. The system absorbs external heat energy and converts it to cabin heating, therefore requiring less energy usage by the HVAC system. The standard 7.0" touch-screen display provides real-time status of the battery charge, available driving range and the energy flow between the drivetrain components. 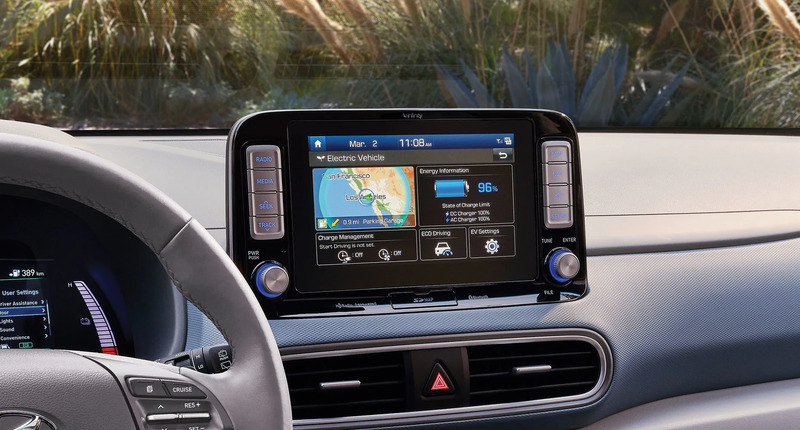 When equipped with the available navigation system, you can also map out your range and find charging stations. Beneficial for Canadian winters, the Battery Temperature Management System helps ensure battery performance does not suffer at low temperatures. 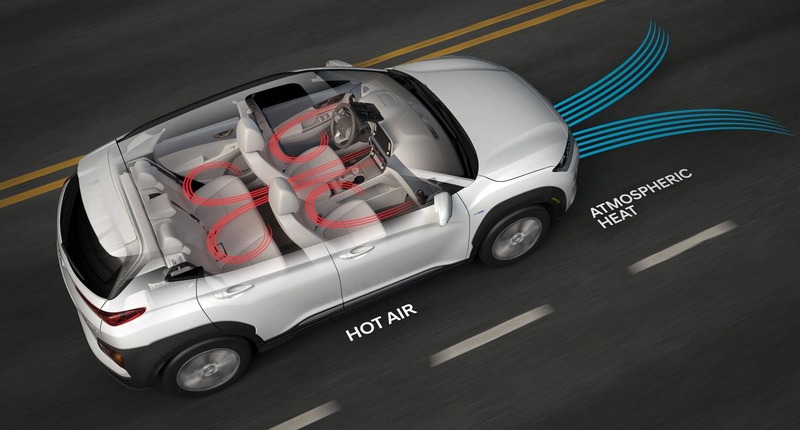 It will pre-warm the battery while the vehicle is connected to the charger to help maximize performance and minimize cold temperature range loss. 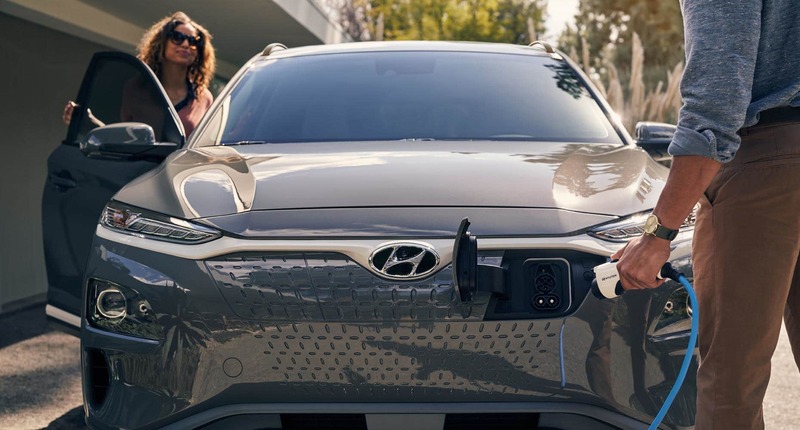 The Kona Electric offers plenty of space with the flexibility to take passengers and gear on your next exploration — in or out of town. Thanks to the innovative shape of the battery, it is placed below the cabin and cargo floor so that you can still enjoy maximum cargo versatility. 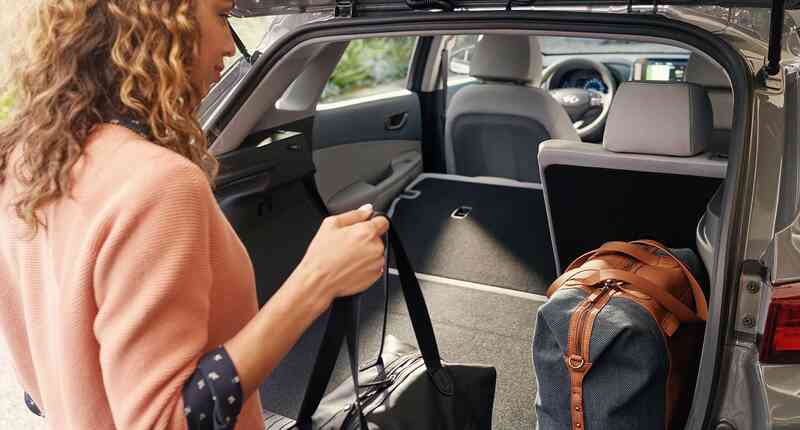 Packed with comfort and convenience features, enjoy every moment of your drive with the Kona Electric. 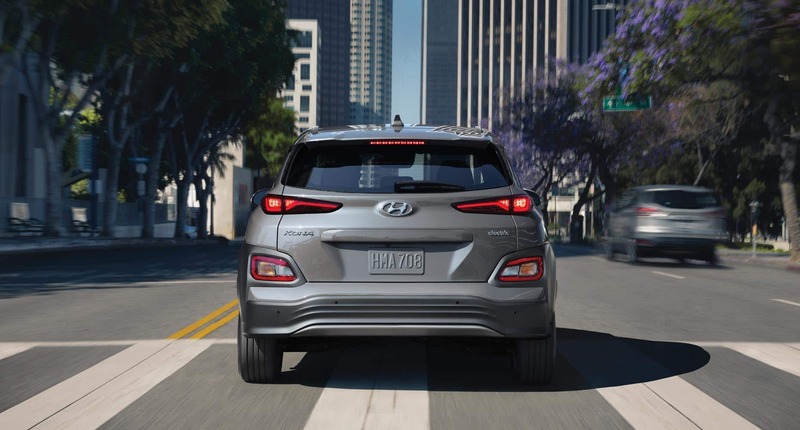 With instant torque delivered through the all-electric powertrain, the Kona Electric is lightning quick off the line. This sporty SUV accelerates from 0 to 100 km/h in only 7.6 seconds. Further enhancing your driving experience is a sophisticated multi-link rear suspension designed for agility, ride comfort and stability for enhanced handling. Drivers can also enjoy hands-on input to adjust the level of regenerative braking by using the mounted paddles on the steering wheel. The left paddle increases the recuperation of energy by increasing deceleration, while the right paddle decreases regeneration levels for a more natural coast down when braking.